When it comes time to look for fun products to put your logo on, candy is a definite first choice but you need to come up with something different and edgy to stand out from the competition. Custom logo candy is best used in event goodie bags, for tradeshow booth giveaways or to hand out in person at events. The best thing about a great logo candy idea is that it looks good and tastes delicious! Lady’s Gaga’s promotional team decided to send these custom candy cubes to select media contacts to have them help promote the tour. 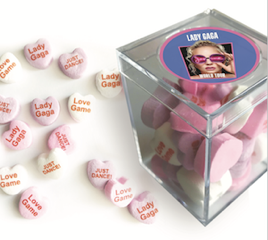 The candies read “Lady Gaga”, “Love Game” and “Just Dance!”. 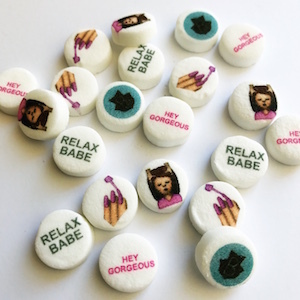 This massage spa created their own custom mints with the cutest images of nails being painted and a person getting a massage. 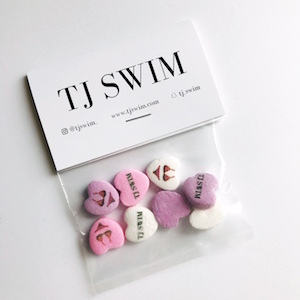 They threw in some logo candies and some custom sayings like “Relax Babe” and “Hey Gorgeous”. 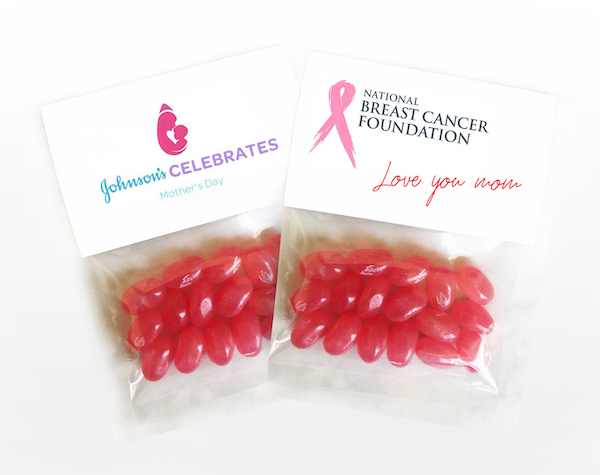 Johnson & Johnson & the National Breast Cancer Foundation used custom jelly beans to give out to mothers on Mother’s Day. What a wonderful way to thank moms for being there. J. 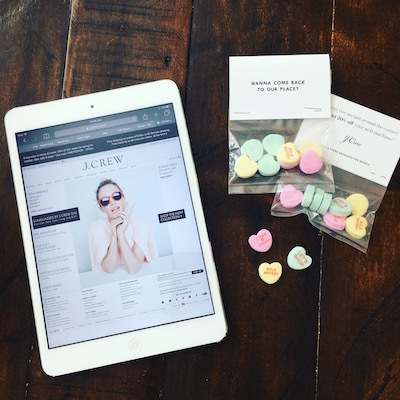 Crew used custom candy heart bags to hand out to promote a Valentine’s Sale. We love the sayings they chose with “Just shop” and more! How cute is this brand’s promotional candy idea? They used a bikini emoji along with their logo and bagged them with custom headers to promote an online sale. Adage was challenged with how to wow C-level marketing contacts at a high end event. 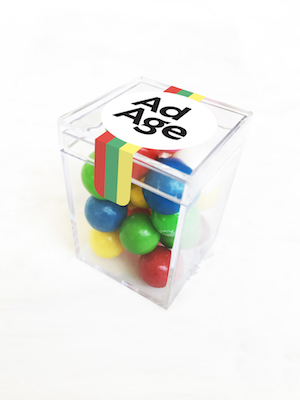 These logo candy cubes with gumballs inside were a fun flair to the event. For more creative candy packaging ideas visit the custom candy packaging gallery.